Here in Southwest Florida the Brown Dog Tick is the most common tick found. It is unusual among ticks, in that it can complete its entire life cycle indoors. Infestations in houses can explode to very high levels quickly. A female tick can lay from 1,000 to 3,000 egg. The eggs hatch in 19 to 60 days into six-legged, small larvae known as “seed ticks.” Adults have been known to live for as long as 200 days without a blood meal. The Brown Dog Tick rarely causes disease in humans; only a few cases are known. 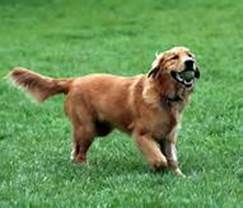 In dogs, symptoms of canine ehrlichiosis include lameness and fever; those for babesiosis include fever, anorexia and anemia. Both have been found in Florida. Typically, a few ticks are brought into the house or kennel. The early stages of the infestation, when only a few individuals are present, are often missed completely. The first indication the dog owner has that there is a problem is when they start noticing ticks crawling up the walls or curtains! If you find yourself with a tick infestation in your home, a strategy that involves landscape management to create an environment unsuitable for tick survival is necessary. Simple measures can be taken to provide a tick-free environment. Keep the grass mowed, remove all the leaf litter, brush, and weeds at the edge of the lawn, trim tree branches and shrubs around the edge of the lawn, and manage pet activity by trying to keep cats and dogs out of the woods and in a contained area. Try to keep wildlife away from your pet’s activity area by fencing the habitat. If a heavy tick infestation occurs, it is necessary to treat pets, home, and yard at the same time. Control of ticks, starts with the host through on pet treatments, insecticide applications inside the house to all active areas, and insecticide broadcast lawn treatments. Dogs should be examined regularly and attached ticks removed and disposed of. Outdoors, infested areas should be treated by applying a broadcast treatment of insecticide to the landscape. Collier Pest Control offers a thorough Tick Lawn Treatment to broadcast spray your lawn, mulch beds, flower beds, tree trucks, fences, hedges, and the sides of any buildings in the treatment area. Special treatment efforts are given to areas frequented by pets. Pets should be kept off treated surfaces until dry. If you live in Naples, Bonita Springs, Fort Myers, or anywhere in Southwest Florida and are finding Ticks in or around your home, call 239-455-4300 Collier Pest Control for a full explanation of our Brown Dog Tick Treatments to the Lawn or Home, or look us up on our website at collierpestcontrol.com. Remember Florida does not have to be shared with insects.